Circuit board of this example stamped 10 MAR 1975. 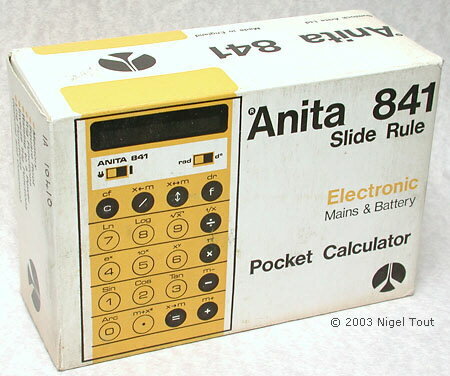 Box for the ANITA 841 "Slide Rule" calculator. 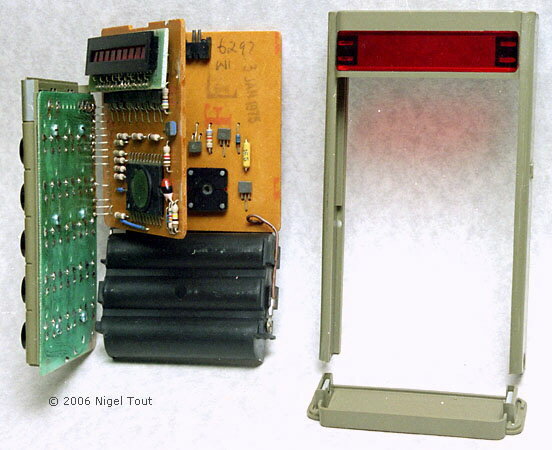 Here the circuit boards have been removed from the casing. 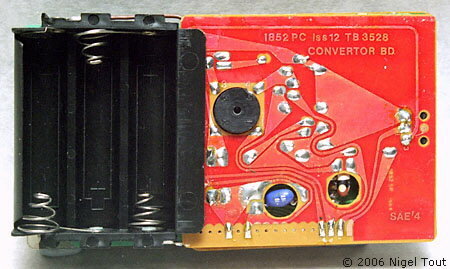 The rear of the circuit board.